Invite your favorite princess to your next party! storytelling, singing, face painting, a craft and games. Diamond Princess Parties strives to bring a truly magical and memorable experience by providing safe, family fun including sing-alongs, story telling, role playing, face painting, and more. At Diamond Princess Parties, we believe in providing a very unique and high quality experience for each child. 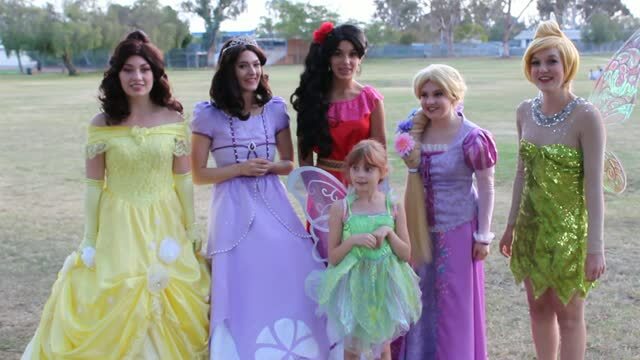 All of our Princesses are experienced and talented artists, singers and performers. We now offer a fun filled face painting party package without a character. Great for both boys and girls! Check below for more information. Our princesses love to sing! Our Princesses have great artistic talents! Face painting is included with our party packages. Diamond Princess Parties now offers day glow/glow in the dark face painting parties. Only $150.00 for a one hour party with one of our princesses. 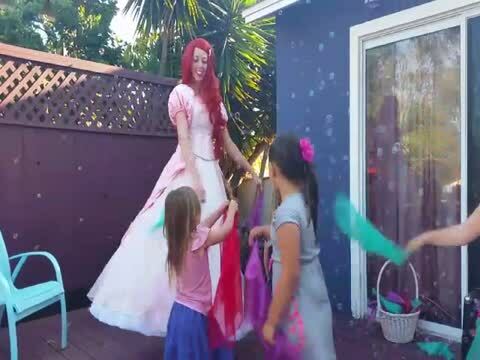 A one hour Princess Party is based on a party of 8 children or less. Each additional half hour is $30.00. Talk to our Queen for pricing for larger parties. Balloon twisting can be added, but you will need to book extra time. Please note additional time will be needed for larger parties, and/or additional activities. We understand that it might not be in the budget to book the suggested amount of time for the number of children attending your party, that's ok, we will still be happy to perform at your party but we might have to skip a few activities to accommodate more children with less time. A one hour party with 2 characters is $200.00. A one hour party with 2 characters is for up to 15 kids. Each additional half hour is an additional $60.00. Everything is included upfront. No hidden fees! You can now book a face painting and games party package with Diamond Princess Parties. Parties include face painting, music and dancing, balloon twisting and games geared towards your child's age group. Just $8O per hour. Face painting only parties also available for only $65.00 an hour when you book 2 hrs. Check out our excellent Yelp and Google reviews! Look for us on Facebook, Instagram and Yelp. Look for us on Instagram and Like us on Facebook by clicking on the links below.